Featured image credit: City traffic in New York Texas by Henry Be. Public Domain via Unsplash. 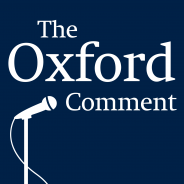 This episode of The Oxford Comment was hosted by Erin Katie Meehan, Senior Marketing Manager, and Katelyn Phillips, Marketing Coordinator, at Oxford University Press. This episode was produced by Nicole Piendel (Executive Producer/Editor). Special thanks to our Associate Producers Victoria McPherson and Katelyn Philips, as well as Madeline Johnson, Stephen Mann, Jenny Rossberg, and Sarah Lee (Production Coordinators).